Why is El Cielo Beach Cozumel the most popular for snorkeling in the Island? The exotic island of Cozumel is located just 11 miles east of Yucatan Peninsula in Mexico. This Caribbean island has a subtropical climate which means that it is suitable for a holiday trip in almost any time of the year. There are some stunning sandy beaches all over Cozumel, and el cielo cozumel is one of these beautiful beaches. What is the famous Playa El Cielo Cozumel (Heaven on Earth)? It is the Spanish name for El Cielo Beach in Cozumel. For those who didn’t know El Cielo means Heaven in Spanish which is probably the most suitable name for this area. Located in the southeastern part of Cozumel Island close to the snorkeling colombia reef, El Cielo Beach is a real tropical gem. The first thing that visitors notice when they step on this beach is the breathtaking view of the Caribbean Sea. The water is, and there is white sand all over the place. Playa El Cielo is offering very shallow waters which is why it is recommended for kids too. There are many things that one can do in this area, but most people are engaged in snorkeling activities. While it is true that the bottom of the sea won’t offer much to the snorkelers, it is also true that there are many different types of fish in these waters. As we already said, the water is, and you can view things for many feet when you are in it. Of course, if you take a good snorkeling excursion like the palancar snorkeling tour, you can expect to explore the Colombia Reef located in front of the beach. It is a place with vivid colors and many different corals and marine animals. It will take a few hours to get a clue about what this area has to offer. 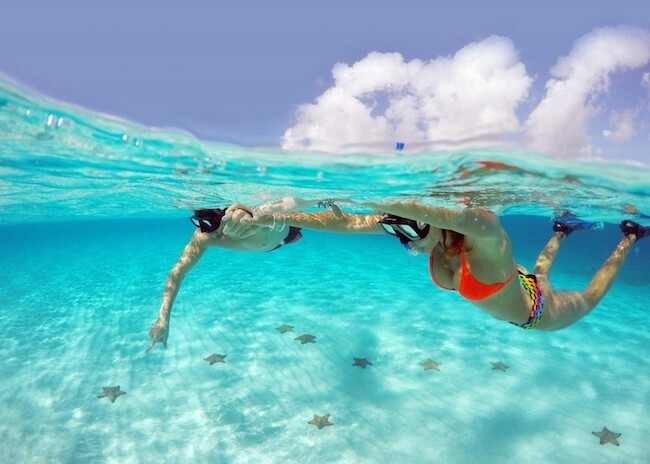 It is a snorkeling adventure that you will remember for a long time. What fun activities to enjoy after snorkeling at the El Cielo Beach? Back on the beach itself, you can enjoy some cocktails, sit back and relax while you are sunbathing under the bright sun. Keep in mind that El Cielo Beach Cozumel was a secret place for many years, but now you can access it too and have fun like the locals. These sandy white beaches will make you feel like you are in a different world, free of worries and problems – a place where you can unwind and enjoy life. Can I drive to El Cielo Beach? The answer is NO. It is not possible to drive to El Cielo Beach. The road is far from the beach, and you can’t live your car on the way and go there on foot. The only option you have is to use a boat. The good news is that there are tour operators that can help you access and explore this fantastic place. 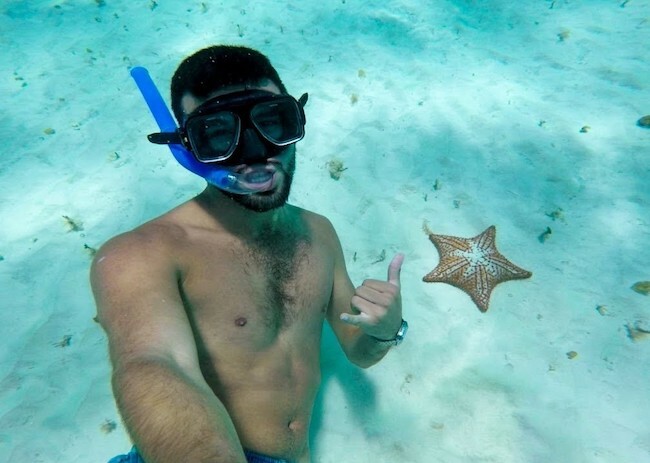 The best option is to use a snorkeling tour that has El Cielo Beach in its offer. In this way, you can explore the beach and nature found there. © 2000 - 2019 El Cielo Cozumel Snorkeling Tour. All rights reserved.